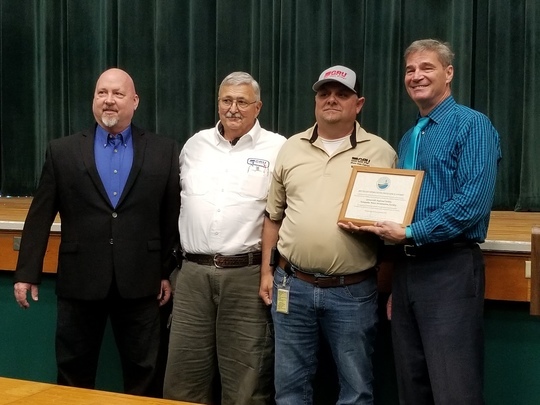 LAKE CITY, Fla. – The Florida Department of Environmental Protection recognized the Gainesville Regional Utility’s Kanapaha Water Reclamation facility as the recipient of the 2017 Plant Operations Excellence Award. The Kanapaha Reclamation Facility has not only implemented the latest technology to ensure the consistency and efficiency of their operations, but made critical enhancements to wastewater collection systems as well to reduce sanitary sewer overflows. The department is awarding a total of 14 facilities, including six domestic wastewater facilities and eight drinking water facilities statewide. The other awards will be presented at district ceremonies during the Focus on Change Seminars in Punta Gorda, Ocala, Haines City, Pompano Beach and Panama City.